1. Colosseum always seemed to me to be in a category all their own. At times they sound like Blood Sweat & Tears on steroids, and then move into classical rock with relative ease while sounding very psychedelic and very late 60’s. Perhaps a product of their time, but they were good at everything they did. Daughter of Time is one of their better albums and all the elements mentioned above come into play here. I first came across this album in a used record store. The copy was dirty and the cover was pretty beat up, but I lived with and enjoyed it. Now I have the reissue and the CD version on Castle sounds fantastic. 2. 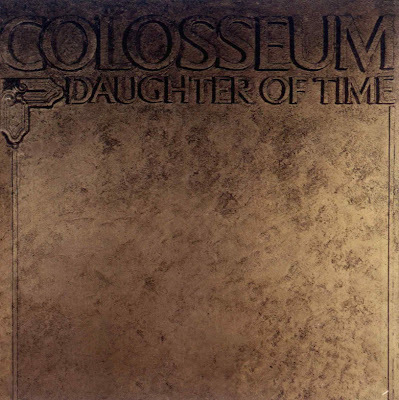 Of the Colosseum albums this is the one I prefer best, I've never been a huge fan of Colosseum but this one is pretty good. The sound is pretty dated progressive/psych in the old school with some hints of blues. There are some very good parts on this album and there are some lowdowns. The style reminds me a lot of King Crimson's first album. Good songs are 'Time lament', 'The Daughter of Time' and 'Bring out the Dead'. Worst song is the last one 'The Time Machine' wich is an eight minute drum solo. uuugh! !